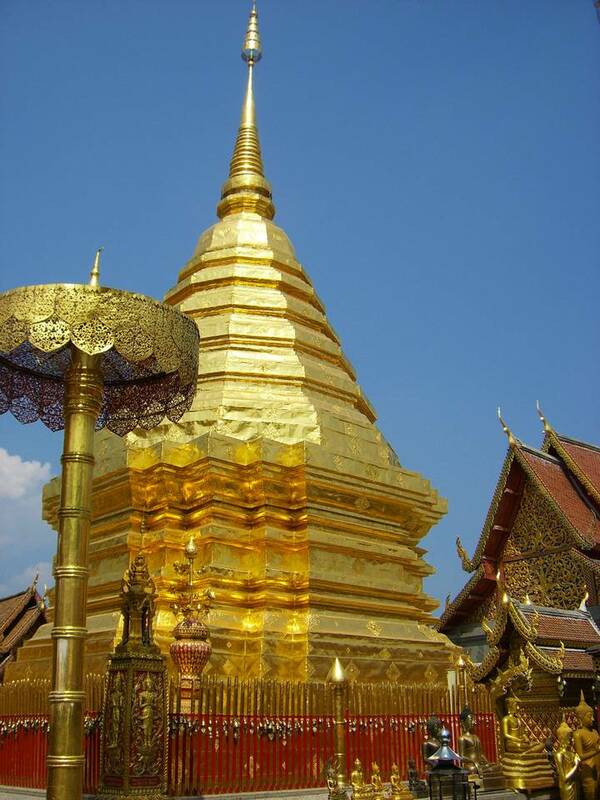 Amongst the most famous and spectacular temples in Chiang Mai is the one atop Suthep mountain. 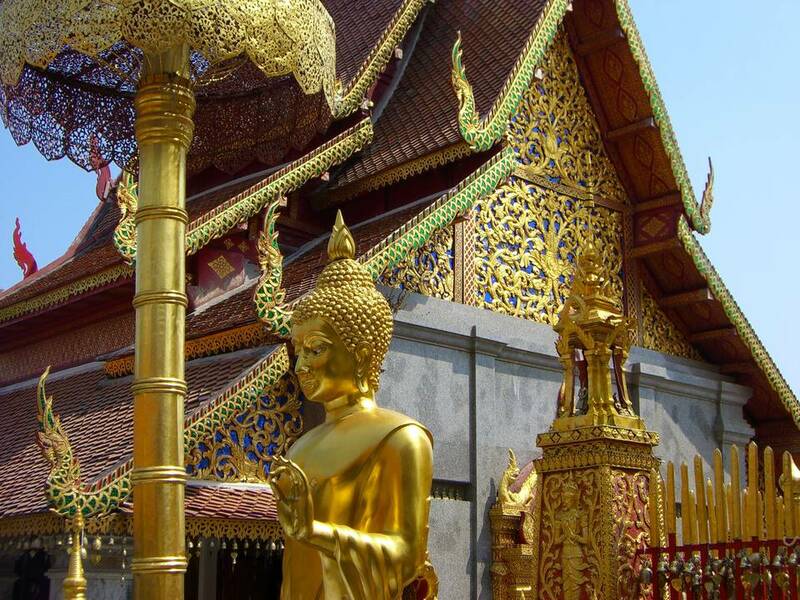 The temple is atop the mountain which overlooks the city – rom here, you can gaze across all of Chiang Mai. 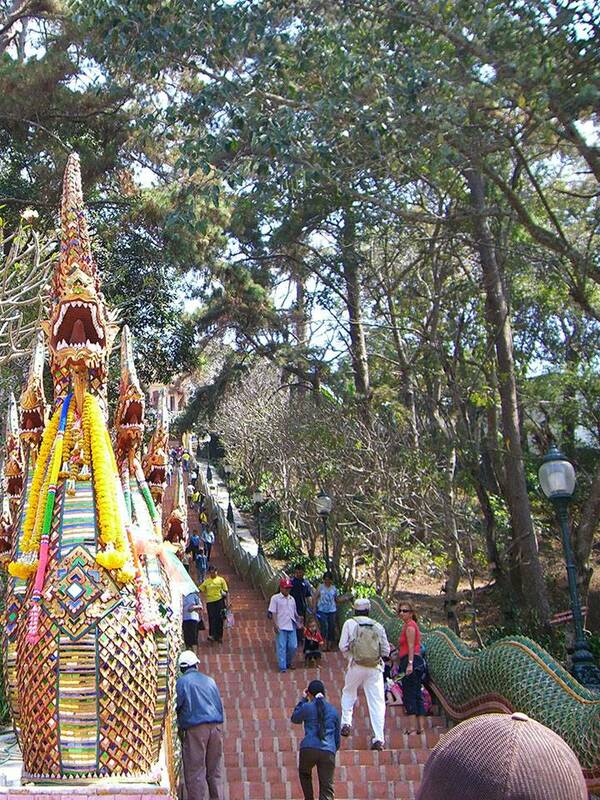 But to make it to the top, you’ll have to climb the temple’s 309 steps! At the base of the mountain is the Malin Market, where there are many inexpensive bargains and restaurants catering to the students of the nearby university. 5km up the mountain, on the right hand side, is the entrance to Monthatharn falls. These falls are quite beautiful in wet season. You can even camp up there. If you proceed further from the Temple, there is the Queen’s Palace, and further from that, a Hill Tribe village. Getting to the temple couldn’t be easier! From our office, exit onto the Canal Road and turn right. From there, you’ll soon be at the Phucome Intersection, where the Canal Road hits Huay Kaew Road.